Wow! I can't believe another year has almost passed! This has been an amazing year for me. Thank you to everyone who helped me celebrate my one-year blogiversary last week! 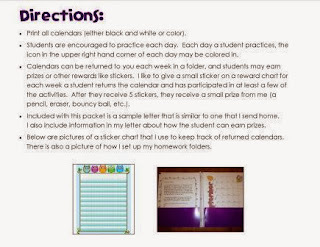 One thing I have done this year, is to re-implement homework with my students. I had taken a year off of sending home folders, and I really regret doing that. I have reinstated homework with my students, and I (and their parents) couldn't be happier! I realize now that the home-school link is so important for carryover and generalization of all speech and language skills. I guess I always knew that, but after taking the year off of sending homework, I realized how uninformed my students families were about what was going on in the speech room. Now, I have a direct link home every week with my homework folders. I guess one reason I stopped doing homework folders last year was the amount of work I perceived to be involved with them. I was constantly printing off new pictures and worksheets for students to take home. Well, for my articulation students, I have a new solution to my perceived problem. 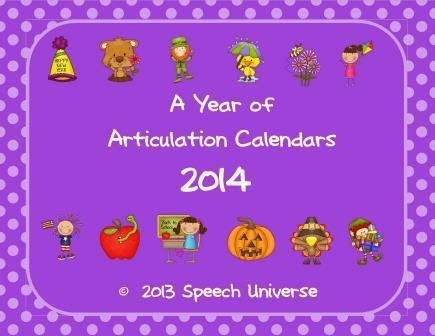 A Year of Articulation Calendars! 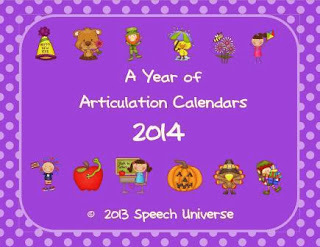 These calendars are for the 2014 calendar year, and include all twelve months. You can print off a month at a time to send home. 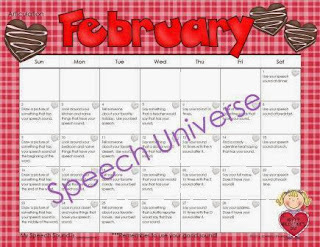 I like the students to keep the calendar in their homework folder so that I can see which activities they have completed each week. 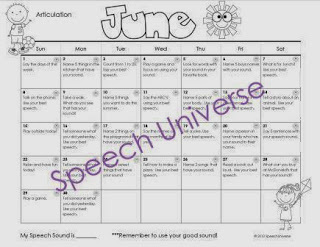 Please note, if you have previously purchased my Summer of Speech and Language Calendars, the months of June, July, and August articulation calendars are the same. The articulation calendars included in this packet are available in either color or black and white. I have also included a sample letter that you could send home, or copy the wording of to make your own letter home. My summer calendars went over really well with my parents again this year. I still get compliments on the summer calendars when I meet with parents that I have not seen since the beginning of the year. I am hoping that you and your parents find these calendars equally useful! 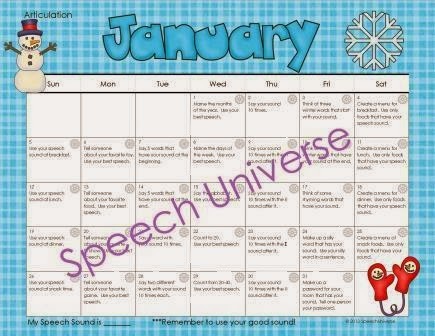 You can find these articulation calendars HERE.